Voicemails - Back in Town!! Voicemails that were used to exchange messages between the user and the subscriber have lost their essence. But, David Maybach, the founder and Michael Collins, the co-founder of a start-up named ‘Veem’, a visual voicemail for iOS have made it visible again. Veem is fairly the easiest way to store and manage its user’s much valued voicemails. Anyone who has lost someone dear will see a higher value of the app because they can treasure the voices of the people they care about using the app. Businesspeople get so many voicemails each day that they wish those could be forwarded to their assistants along with a note. We have family, friends and relatives from all over the world and we often want to hear their voices. Here comes Veem as good as an audio album of memories! David, hailing from Venezuela, graduated in 2004 with a BS in Accounting. Then, he moved to the US in 2005 with only $250 in his pocket. He has lived in Miami, NYC and, is currently put up in LA working for UCLA as a Fund Accountant in Medical Research. Co-Founder Michael Collins is a Telephony Developer from Fresno, California. “ I love leaving long voicemail to all my family and friends and just say whatever is crossing my mind at the moment and storing voicemail especially from my family residing overseas . In September of 2012 I read “The Tipping Point” and how epidemics can be spread by the word of mouth. I immediately remembered how all my friends always commented me about my voicemails. Don’t ask me why! They are just good. My friends would call me at the most random times to continue talking about whatever my voicemail was for. It didn’t matter what time or day of the week it was. Took a while for the founders to connect the dots . The fact that Apple upgraded everything about the iPhone (software and hardware) but the voicemail screen, which is seven years old, uses the same visual voicemail and the cell phone carriers purge the voicemails periodically from the servers without any notification. These two problems triggered the need to look deeper into the world of voicemail technology and, as a result, the founders discovered an alternative and simple way to ensure the voices we cherish the most are kept alive for years to come. 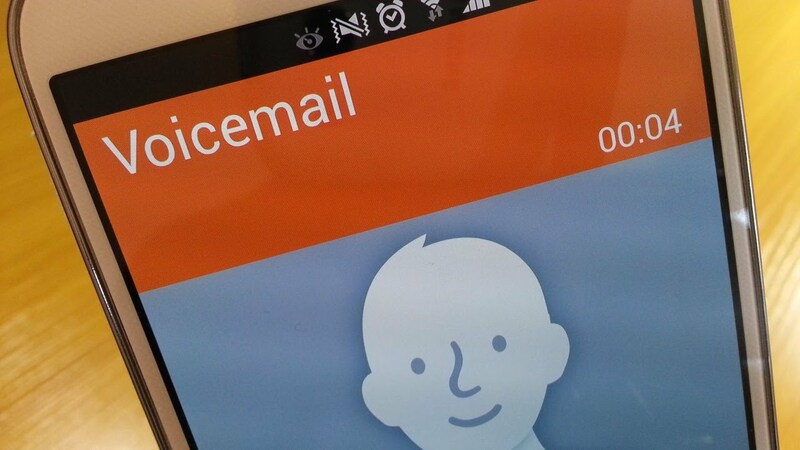 Unlike any other app, Veem can back-up your voicemails directly from your voicemail carrier. This is implemented using a telephony algorithm that combines two exciting technologies i.e. Voice Recognition and Voip (Voice over the internet protocol). With Veem, users can Edit+Store+Share their voicemails the way they manage their emails because Veem comes with Smart Folders. The working prototype can be found on the website and social media channels. P.S. You can add a caption and a picture to your voicemails so that you can find them quickly. Accessing the voicemail files in the iPhone Operating System because Apple restricts the SDK (App maker software) and developer from them. They even visited Apple Headquarters to present Veem and obtain their permission. YouMail and Google Voice. These two technologies provide voicemail services and are well known by a lot of mobile users. To get Veem funded on Indiegogo and use that crowd funding capital and deliver the app in 2015! To bring voicemail back by creating a new channel of communication, penetrate 10% of iPhone users i.e. over 10 million Veem subscribers that care about their voicemails. David: “I want to make Veem a verb so when you get a voicemail you want to share…… you Veem it! “. Veem, a “freemium” business model provides non-subscribers such as Free app download, free account set up, access to shared voice messages, free category search / hashtag. This is known as “free” subscription; seamlessly opening markets to later integrate with the “premium” subscription option. This option integrates more features and consumer needs such as unlimited storage to voice messages, encrypted web access to voice messages, and sharing features. Implementing Ad-Roll is great way to monetize but with moderation! Yearly subscription is also a good revenue approach that will tell how many people are really engaging on the app without making wasted money on TIF (Technology Infrastructure fee). Stay connected with your family,friends and relatives via Veem !! On VoiceCandy Get Comfortable In Icebreaking With Strangers! Previous articleSnapDare Brings ‘Truth or Dare’ To Your Smartphones!